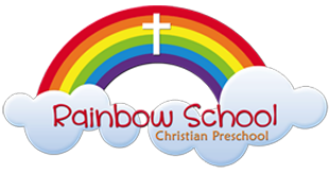 Rainbow School is a preschool program designed to provide a Christian preschool school experience for 3-5 year olds. Guiding the mind and spirit of God’s Children. 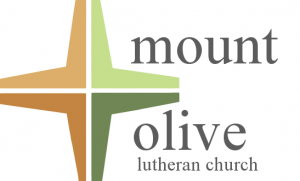 A Christian preschool where children develop skills for a life of faith and learning. Rainbow School believes that preschool is an opportunity for children to have a positive first school experience. In order to make that experience positive for our students, we address and provide for the growth and development of the whole child, including their spiritual, social, emotional, physical, and academic growth and development. Rainbow School is a non-profit 501c3 organization. Our program is based upon two main priorities. First, as a Christian preschool, we strive to teach the children in an environment that demonstrates the love of God. Christian values are modeled, encouraged, and practiced. We feel that this is the best foundation to give our students when they leave our program - to be able to show the love of God through love, respect, and forgiveness of others. 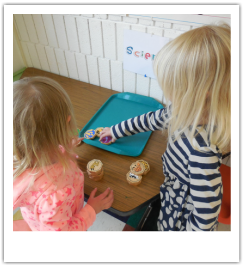 Second, as preschool is a first school experience for most children, we do not underestimate the importance of social skills. Rainbow School offers the opportunity to learn and practice the necessary social skills needed in a school environment. We also take advantage of opportunities to guide our students through emotional, physical, and academic milestones. Preschool children make many leaps and bounds in their emotional, physical, and academic growth, and it is our goal to guide them as they progress in all areas of development in order for them to be their best. 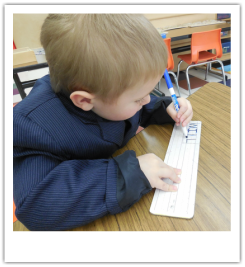 Activities and experiences at Rainbow School are created to be developmentally appropriate for preschool students. The integration of the arts and play is one of the most developmentally appropriate methods for children to learn. It provides a stable base for children to learn- through observation, participation, practice and for all areas of the child’s development. In addition, it provides a safe, familiar environment for children to approach new ideas and concepts. The goal of Rainbow School’s curriculum is to meet the needs of each child’s spiritual, social, physical, emotional and academic growth, and to meet those needs through a developmentally appropriate program.